At Outdoor Escapes, we specialize in handling all aspects of design and plantings for small and large properties across the state. With over 14 years of experience in the industry as a trusted landscaping company, we have the required expertise, manpower, and resources to make any Missouri and Kansas property a total knockout. If you want your property to truly stand out, just call us now and we’ll be happy to work with you to achieve your desired results. 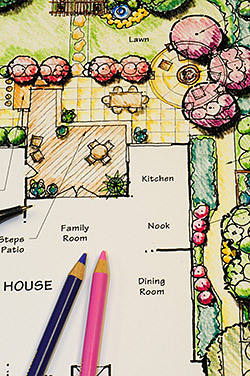 Designing a landscape isn’t a job that can be left to inexperienced contractors. As it is, landscape design is a highly complex and technical task that only those with extensive experience and decades of handling such projects can effectively complete. 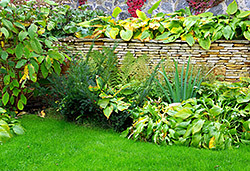 Fortunately for our Missouri and Kansas clients, we have experienced landscape designers who have already worked on various residential and commercial landscaping projects in Missouri and in some areas in Kansas. Our landscape design team is composed of creative individuals who can provide sensible designs that exude balance and harmony. Our people know how to carefully position shrubbery, annuals and perennials, trees, and vines in such a way that they achieve a certain theme of your choice. Accordingly, we are known to establish a close working relationship with our clients throughout the entire duration of our projects. This allows us to gain a clear idea of their design preferences to guide us in drafting design plans for various landscape settings. Suffice it to say that we always put our clients’ specific requirements first to truly satisfy them. Our expertise in design and plantings also center on the installation of various plantings that thrive well in Missouri’s and Kansas’s climate. Whether you’re in Pleasant Hill, Oak Grove, Blue Springs, or Kansas City, rest assured that our plant experts can easily pinpoint the perfect plantings that will grow well in your landscape. They can even create specific themes that will make your property a magnificent area all year round. Simply put, we can provide any type of plantings that you may require. To give you an idea of the specific plantings that we can install, please browse or download our catalog. It will give you some great ideas on the ideal species of vines, shrubs, and trees that will look great and thrive well in your outdoors. With all these great capabilities, you can expect to get the best possible results when you hire us to provide your design and plantings needs. 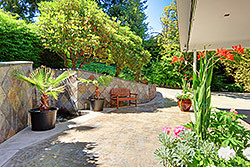 With our commitment to personal, dependable service, and unique designs, rest assured that you’ll get your money’s worth by availing our landscape design and installation services. Please call us today and let our expert personnel turn your landscape into a veritable sanctuary for a truly relaxing and rejuvenating experience.